Over in Europe, at least for the first quarter, Apple iPhone and Windows Phone shipments are going in the opposite direction. 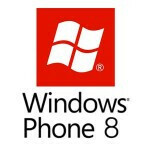 The number of Windows Phone handsets received in the continent during Q1 soared 73% to 1.9 million units year-over-year. Meanwhile, iPhone models in transit to Europe during the same time period actually declined by 10% to 6.3 million. Android remains the leader in Europe and added to its lead with a 35% gain in shipments to 21 million during the first three months of the year. The entire category of smartphones saw a 12% rise from the 2012 first quarter. Overall, the economic situation in the region is not getting better which means that expensive models like the Apple iPhone are finding it harder to generate demand. If Apple is going to go ahead with a low-cost version of the iPhone, this would be the time to do so. This news makes me happy, yesterday i was sitting in a bus next to a girl that has a Lumia 900 in Cyan, while it is not available in that color in Belgium.... Greetzz. Gogoat is also a joke .... Greetzz. How is Microsoft that much eviler than Apple or Samsung? They're all in it to maximize profits and corner us all into some sort of monopoly. That's the nature of business. Speak for yourself. Unfortunately, buttering up your argument with that first sentence doesn't make it any more constructive. Adopt an objective viewpoint. Learn to embrace and enjoy diversity. Meant to be in reply to comment below.....however your comment I think I express it as....in my view WP is soooo boring however people like you who adore Nokia and WP obviously love it! Exactly! So what's the point of littering Nokia comments with negativity when the bottom line is that it's good, just not for you? If you don't like it, just bite the bullet. It's as simple as that. If a girl does not excite you, you wouldn't blame it on her now, would you? Dumb comment! WP8 is just an operating system, not a concert stage. Is Linux exciting, or how about Unix? Only ultra shut-in geeks have a critical need to find an OS "exciting". In my country is full of iPhones and Galaxy'es,in fact I have rarely seen someone with a WP 8 handset. Anyway,Nokia is making a good job with the Lumias and it won't be a surprise if they will surpass the iPhone's sales in near future unless Apple will release iPhone Lite. To be honest I hate Microsoft as a company :) they are taking more money from android than from windows phones. Now,the Apple's sales,here, are having a super boom with the iPhone 5/4S/4 because are cheaper with iPhone 5S close to the release date. Don't you have anything better to do? We get it, you like Android and wish Nokia made them. Move on, and unless you have something positive to contribute, please stop filling the comments with wasteful garbage. @anywherehome... How the flubber do you come up with BS like that? The quoted words, story of my life.